There are chapters and organizing areas located throughout the world. To locate the chapter nearest you, please refer to the sub-categories on this website. For more information on founding a chapter, please review the Application for Chapter Recognition and Chapter Seed Funding. Additional chapter resources: Manual for Current Chapters and Chapters-in-Development and the IASWG Chapter Bylaws General Template. Each year, existing chapters are required to submit an Annual Chapter Report in order to receive chapter support payments. Please note that Annual Reports are due by March 31 of each year. Annual reports can be emailed to the IASWG Secretary, Joyce Webster ([email protected]). 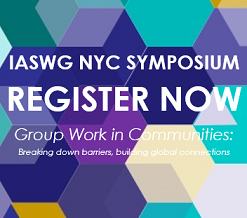 Hosting an upcoming IASWG event? Please have event attendees complete an IASWG Consent Form, which allows audio/videotapes, verbal/written information, and/or photographs to be used for IASWG's marketing purposes.